RUSH: Now, we’ve heard President Trump talk about treasonous things having happened in the investigation into him and collusion with Russia, and he has pretty much acknowledged that it traces back to the Obama administration. I made the point yesterday that the counterintelligence apparatus of the United States of America, the entire counterintelligence apparatus — this would be the FBI counterintel, the CIA, the NSA, the vaunted so-called intelligence agencies — were all repositioned and retooled for one express purpose, and that was to reverse the election results of 2016. And we know that much of this began even before the election. We know that the attempt to plant informants in the Trump campaign by the FBI was occurring during the campaign. We knew the Steele dossier was created by the Hillary Clinton campaign, and it was used during the campaign. We didn’t know about it. It had not been made public, but it was circulating all over Washington. The media all knew it, the Democrats all knew it, several Republicans knew it and believed it. John McCain was spearheading the effort to get everybody to believe it and use it. When I say the counterintelligence apparatus of the United States, I mean that to sound powerful and big. The counterintelligence apparatus of the United States is designed to keep us safe. You know what? I’m gonna go back in the next hour. Does the name Wild Bill Donovan ring a bell for any of you? Tell me who he was. No. Wild Bill was the guy who created the CIA, and he did it with Bill Casey, who was the CIA director under Reagan. These guys, it was post-World War II. It was the beginning of the Cold War. And these guys realized that America — and back then America was referred as a democracy. We really aren’t, but that was the one word it was simple to use to describe freedom in the United States. And we did not have a government-sponsored intelligence agency. We had random players, we had individuals who were trying to do things. We had spies. But we had no central organizing government agency that was responsible. And the way it was sold by Wild Bill Donovan and his buddies was to American capitalist titans and receptive government leaders. And it was quintessentially American. It was pitched this way, and I’m using my own words. I don’t have verbatim quotes. But get people in a room, you want access to free markets. You want to be able to sell things and make things, and you want to be able to do it in peace, and you want to be able to do it in freedom. You have to realize that this country has enemies all over the world as you should all know, having just seen World War II. Right now we don’t have an organized method to protect democracy. We do not have an agency that is in business to identify who the threats to this country are. And it could be Karl Marx with a pamphlet. They focused on Marx. Karl Marx with one pamphlet created the entire communist movement, one guy and an idea. He didn’t have any money. He was a pauper. One guy created communism. And we are still paying for it today. And communism threatens our way of life and your way of life. You need intelligence agents all over the world identifying these lone guys and their ideas trying to undermine you. Isn’t that worth it? There’s much more to this. 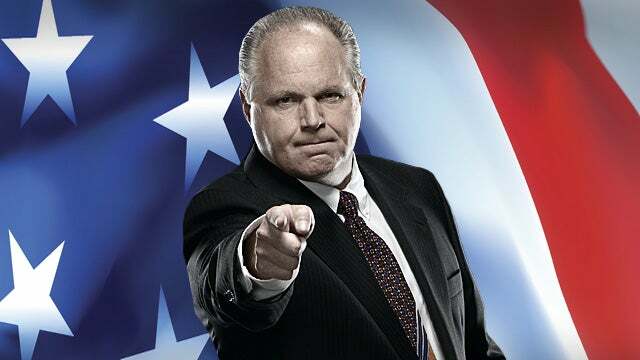 RUSH: I’m not gonna be derailed by it away from making some serious, necessary points in the ongoing coverage of this bombed-out hoax to get rid of Donald Trump, which remains 10,000 times the scandal of whatever has happened here in the Smollett case. The counterintelligence apparatus of the United States was marshaled and used for one purpose, and that was to get rid of a duly elected president. This is a scandal of proportions the likes of which we really haven’t seen in our lifetimes and maybe in the history of this country. And that’s saying something, because there have been humongous, numerous scandals. But this one is being given short shrift today because of the Smollett case, and it deserves to be front-page news for as long as it takes for the American people to understand what happened here and who did it. And there needs to be an investigation into this. There needs to be answers and total transparency provided to the American people over what happened here because it’s the kind of thing that nobody believes can happen in this great country. The kind of thing that happened here is for dictatorships and totalitarian tinhorn dictatorships all over the world, but not the United States of America, but yet it did happen. And it happened at the highest levels of the previous presidential administration, that of Barack Obama, involving people at the highest levels of law enforcement and intelligence in his administration and the media of this country became totally complicit in the project. They became willing accomplices and tools. It is flat-out amazing that this attempt to get rid of a duly elected president failed. When you consider the power of the people behind it, when you consider they had the entirety of the American mainstream media, the fact that it failed is a miracle. And we should not applaud these people who ran this coup for failing. They do not deserve our applause. We do not thank them. They didn’t fail because they did the right thing. They failed because there never was any evidence of collusion! There was no evidence to find! It didn’t ever happen! Their effort was to manufacture it. They implanted spies in the Trump campaign. And fortunately the Trump campaign did not hire the two people or more that the FBI tried to plant as informants who would then collude with Russia as members of the Trump campaign. That was the plan. They failed because fortunately whoever was hiring and firing in the Trump campaign did not accept these people’s applications. And so the FBI tried to use existing Trump employees, like George Papadopoulos, to accomplish the same thing, i.e., to create the illusion that there had been collusion between the Trump campaign and Russia. It is hideous. But the way it was done by taking the entire counterintelligence apparatus, the FBI, the CIA, the DIA, the NSA, and using all of those resources to corrupt and pollute the American media, to corrupt and pollute the daily digest that’s called news in America, to actively engage in an operation to frame a dually elected president as a traitor. So who is this counterintelligence apparatus? As I was saying, it was created by Wild Bill Donovan back in the days post WWII. It had to be sold to Harry Truman. We did not have the CIA at the time. We did not have a central clearinghouse for the collection of data and intelligence on America’s enemies and those who might try to undermine us. And Bill Donovan knew that it didn’t take massive superpowers and massive militaries to do it because he had experience with communism. Karl Marx, a pamphleteer, one guy living in a ghetto writes a pamphlet that to this day has captured the minds and hearts of way too many millions of Americans. The failed, phony promises of total equality and utopia, no suffering, no misery, no wealthy people, no poor people. And to this day there are people who still believe it’s possible despite its numerous failures, it’s numerous murders, the numerous walls that have to be built to keep people in these hellhole countries that are communist. He knew that any one person with an idea could somehow create a mass movement and those people had to be identified. We all knew the enemies of nations. We all knew the Soviet Union was a bunch of bad guys. But the Soviet Union came from Karl Marx, I mean, if you’re simplifying this. From one lone, little renegade guy that was miserable and unhappy and was a philosopher and writes down this screed in a pamphlet. So how did Wild Bill Donovan and his confederates, one of whom was Bill Casey who was the CIA director for Reagan, how’d they sell Truman on this? ‘Cause it was gonna take a lot of money. And their appeal was these people were patriots like you cannot imagine, folks. 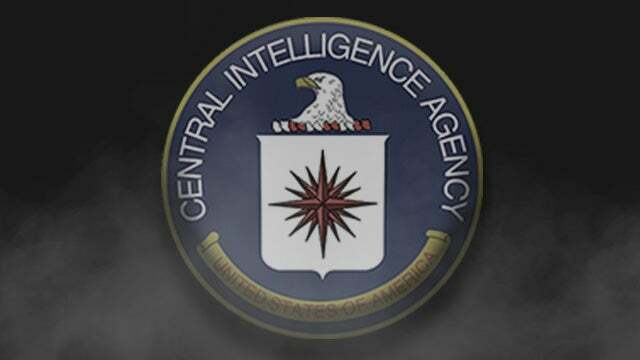 Bill Casey, Wild Bill Donovan, these people that created the CIA were the epitome of patriots. They believed in and loved this country, and they realized that it was constantly in peril, constantly at risk, constantly in danger. They believed that the people who ran this country deserved to know where these threats were, who was behind these threats, so that they could be dealt with and stopped. So Wild Bill Donovan would travel around with Casey, some of his buddies, and he would tell Truman and the titans of industry: We all know what you want. You want power. You want money. You want all the power you can get, you want all the money you can get, but all the power and all the money in the world doesn’t mean anything if you’re not free. And there’s no amount of money that can stop some lone guy sitting in his crappy little apartment or jail creating a little idea that’s gonna capture the minds and hearts of who knows how many millions. All the armies in the world will never be able to defeat this guy after he gets going. And you never can tell where these people are. Folks, the thing that you can’t beat with all the money and power in the world is an idea. You can defeat tanks. You can defeat missiles. You can defeat guns, but defeating ideas that spread like wildfire, that’s the challenge we have. And we have to find the people who have these ideas before they get going. And it’s going to take a lot of money. So they would approach these people and say everything you’ve built in this great, free capitalist country is at risk on a daily basis. You want to sell your goods and services, you want to be able to have the freedom and the wherewithal to do this, well, the only way to sell democracy is to have eyes and ears everywhere. You want to be able to exist in this capitalist paradise, you’re going to need protection. You’re going to need people looking out for you. You’re going to need people defending and protecting this country who are traveling the world unidentified as agents, keeping an idea on all of these people that we don’t even know exist who may eventually pose or become threats. You sell democracy by having eyes and ears everywhere to stop the people who want to undermine your free markets. You want to buy and sell and engage in your businesses and your lives in peace and in prosperity, you need a government organization looking out for you at all times, all over the world, protecting democracy, protecting capitalism, protecting you! It is a long game. And once we start it, it never ends because this country is never going to be out of enemies. But if we don’t get started with an apparatus all over the world that keeps an eye out for legitimate threats to our freedom and security, to our piece and to our prosperity, if we don’t have agents all over the world able to identify these threats and nullify them and negate them, then eventually one of them or a couple of them are going to succeed. It’s gonna cost real money. But don’t you think it’s worth it? Now, I’m really condensing this story for my own purposes here, but that is one of the ways that it was pitched to Harry Truman and the business titans of the day. Back in the day, the people doing this pitches, as I say, were the biggest, the deepest patriots. They believed in and loved this country, and they didn’t want anything to happen to it, and they were scared to death that there was no organized intelligence apparatus that was at work on a daily basis cataloging, identifying, and learning about — realizing — the real threats that existed against this country. Who’s to say that intelligence agencies — made up of people like there are today — didn’t concoct this whole story of weapons of mass destruction in Iraq, and they sold the presidents of the United States and the United Kingdom and all our allies on the idea. So we go to war in Iraq, and there aren’t any WMDs — although I think they were and they were moved out. We know Saddam had used nerve gas. The point is, we don’t know for how long all of this has been corrupted. But we do know — we do know — that it was corrupted, and this entire intelligence apparatus, which began and was born of super patriotism, was turned against a single American citizen and his family — and, by extension, his party. And its purpose was to create a series of lies that could be believed, that said he was a traitor, that he had colluded with one of our greatest enemies, the Soviet Union/Russia, for the express purposes of stealing a presidential election. And they did this with no evidence whatsoever. They did it with a phony dossier. They did it with lies. They got warrants to spy on this man, Donald Trump, using phony applications for FISA warrants. It was one of the greatest bastardizations of what’s just and decent in our nation’s history, and it is such a far cry from what the original purpose of the intelligence/the counterintelligence apparatus of this country was set up to be. So it manifests itself that we have former Obama CIA director John Brennan hired by MSNBC, and appearing on CNN as often as they will have him, assuring everybody that Donald Trump was a traitor. Assuring everybody that Trump was a reprobate, that he was indecent, that he was an ogre, that he was an embarrassment — and that he was going down. John Brennan and his buddy, James Clapper, Obama’s national defense director, is out there doing the same thing. All of these intelligence people (by name and some of them anonymous), reported into the media daily many times a day that they had evidence that Trump had colluded, that Trump had traitorously reasoned with the Soviet Union and stolen the election from who should have won it, Hillary Clinton — and the whole thing was made up. I still maintain that the Mueller investigation was, essentially, a cover-up and a distraction from the crimes people had committed to keep everybody from learning what had really happened — and that’s what needs to happen next. We need to find out who authorized this, who suggested this, who sponsored it, who permitted it, who encouraged it, who advocated for it, who made it possible. 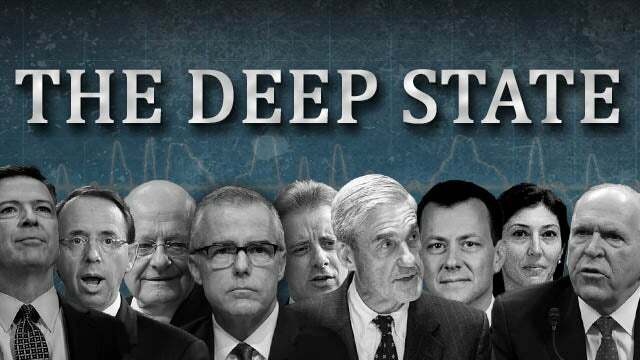 Who is it that gave all these actors in the FBI from Comey to McCabe to Strzok Smirk to Lisa Page…? Who gave them the authority and the confidence to continue in their lawless ways to try to overturn results of an election in 2016? Let’s go to the audio sound bites. Here is John Brennan. He has been totally exposed. He has been shown to have been as wrong as anybody has ever been about anything. He was assuring us that Trump had colluded. His evidence? When Trump asked Russia to hack Hillary’s servers to find her emails. It was a joke, and everybody knew it was a joke. But he was acting like it was all he needed to know that Trump had in fact colluded. BRENNAN: I don’t know if I received bad information, but I think I suspected that there was more than there actually was. (sputtering) Uhhh, um, uh, and I — I am relieved that the — it’s been determined that there was not a criminal conspiracy with the Russian government, um, over our election. I think that is good news for the country. And so I still point to things that were done publicly or efforts to try to (sputter) have conversations with the Russians that were inappropriate. But I’m not all that surprised (sputters) that the high bar of criminal conspiracy was not met. 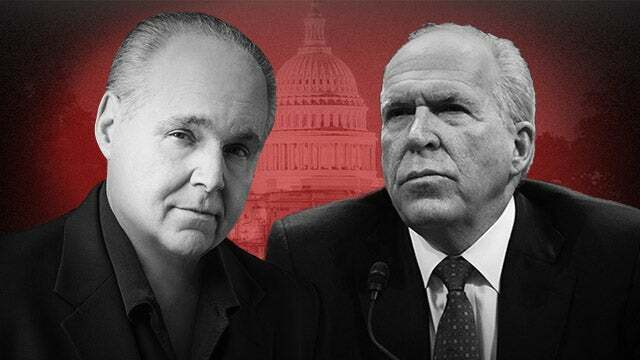 RUSH: You were the freaking CIA director, Mr. Brennan! How can you say you got bad information? After two years of smearing Trump and his family, somebody was lying to you? You got bad information? You’re the CIA director! Your job is to weed through the bad information and not be affected by it. Are you telling us that somebody scammed you? Are you telling us that somebody, somewhere in this investigation set you up? Did somebody you trust feed you lie after lie after lie and feed your confidence that Trump was indeed a bad actor and was gonna go down, or was that just your personal political preference? Now you’re telling us that somebody gave you bad information? You’re the CIA director! There is no bad information! You’re supposed to ferret that out, aren’t you? BRENNAN: Friday is the day that the grand jury indictments come down, and also this Friday is better than next Friday, because next Friday is the 15th of March, which is the Ides of March. I don’t think Robert Mueller will want to have that dramatic, uhh, flare of the Ides of March when he is gonna be delivering what I think are gonna be his indictments, the final indictments as well as the report that he gives to the attorney general. RUSH: And he said specifically that Trump family members would be indicted for conspiracy and collusion. REPORTER: Criminal conspiracy involving the Russian influence? BRENNAN: The Russians, yes! Looking at what was going on with the Russians and whether or not U.S. persons were actively collaborating, colluding, cooperating, and involved in a conspiracy with them or not. If anybody from the Trump family — extended family — is going to be indicted, it would be in the final act of Mueller’s investigation. RUSH: Now, he fully expected this because we could go back and give you Brennan sound bites from CNN where he is just ripping Trump a new one for being a bad guy, ill-mannered, unsophisticated, incoherent, an ogre. He didn’t deserve to be elected. He’s an offense to the human race, and he was convinced that this guy had colluded because that’s what somebody was telling him, he now says. “I had bad information.” This is what has become of our once great intelligence apparatus. RUSH: And it’s not just John Brennan, and it’s not just James Clapper, and it’s not just Sally Yates, and it’s not just McCabe, and it’s not just Strzok Smirk, it’s not just Lisa Page, it’s not just Samantha Power, all these people unmasking Trump administration officials like Flynn. How high does this go? I wouldn’t be surprised if this goes all the way to the Oval Office in the Obama administration, but we can’t leave out the fact that the American mainstream media have participated and have colluded, have conspired with all of these people from the Obama Department of Justice and the intelligence agencies to sabotage and undermine the basic tenets and principles of this country. I have to tell you, I saw Sarah Sanders today on NBC, what are we doing going on these shows? These shows need to be boycotted, these networks, MSNBC, CNN, ABC, CBS, NBC need to be boycotted for a while. They participated in this effort to undo the presidential election in 2016 and to personally and professionally destroy Donald Trump and his family and everybody that voted for him. They don’t deserve exclusives. They don’t deserve the participation of the people they tried to ruin. There’s an entire media apparatus out there that was devoted to defending Trump and his administration and the people that voted for him. I understand the allure. I understand that mainstream media is mainstream media, New York Times is the New York Times. If we can get a fair shake, it’s gonna be really good. You’re not gonna get a fair shake! It’s not possible to get a fair shake because these people are not media. We don’t have media reporting news in America anymore. We have Democrat Party and leftist hacks and activists who are disguised in various professions throughout Washington — legislative aides, members of Congress, lobbyist, nonprofit directors, journalists. And they are all of a singular mind, and that is eliminating all opposition to them. And not by way of winning debates. And not by way of prevailing in the arena of ideas. Their objective is to eliminate opposition and to make opposition irrelevant because it becomes so small. Or, if they can succeed in characterizing the opposition as a bunch of fruitcake nuts. They, too, are just as culpable in all of this as all of these names that we know who actively participated in this silent coup. RUSH: James Freeman writing in the Wall Street Journal: “Mueller and the Obama Accounting,” and I’m so glad to see this, because I spoke over and over again about how the counterintelligence apparatus — and I call it that for a reason, ’cause it’s huge, folks, and its responsibility is clear! They are supposed to be patriots, and they have been. But they were not acting patriotic in their enjoined effort here to undo the presidential results of 2016. Every damned one of them was engaging in what was a silent coup based on nothing. There was never any evidence. There was no reason for an investigation. There was no reason for a special counsel, and that’s why I think applauding the results is understandable, but it’s misplaced. We don’t thank our enemies for failing to kill us, and we don’t throw a party and invite them for failing to kill us. That would validate their existence. It was against one man! They “turned the surveillance powers of the federal government against” one man, Donald Trump! “This historic abuse [Historic abuse!] of executive authority was either approved by President Barack Obama or it was not. It’s time for Mr. Obama, who oddly receives few mentions in stories about his government’s spying on associates of the 2016 Trump campaign, to say what he knew and did not know about the targeting of his party’s opponents. 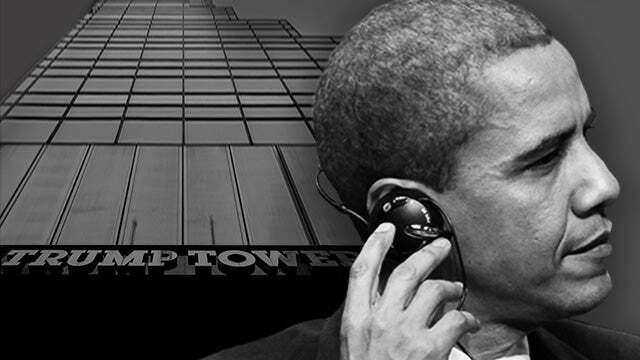 “If he was briefed, for example, on plans by the Justice Department to seek wiretaps on Trump campaign associates, it’s hard to believe Mr. Obama would not have been highly interested in the matter. 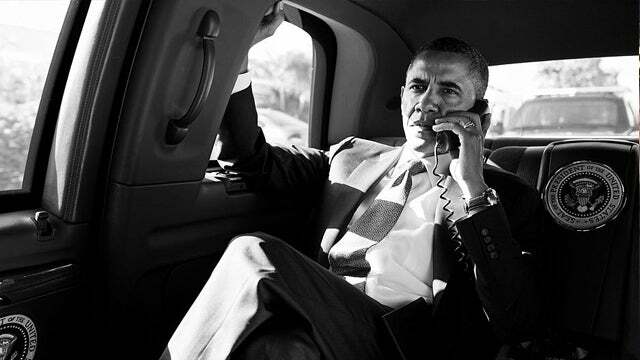 Going all the way back to his campaign for a U.S. Senate seat in Illinois, Mr. Obama had aggressively advocated for preventing federal abuse of surveillance powers. In September of 2004, the Chicago Tribune reported that candidate Obama ‘is ripping the … Patriot Act for violating U.S. citizens’ civil liberties in the battle against terrorism,'” and that’s true. Obama was speaking out against the CIA and intelligence-gathering agencies as abuses of federal power, against individual/private citizens for much of his political career key. He becomes president, and those very powers are turned against an American citizen seeking the presidency. “According to the Tribune, Mr. Obama said that ‘a cornerstone of our democracy’ is ‘that actions of a sometimes overzealous and overreaching executive branch are subject to challenge.’ … It’s time for [Obama] to explain the actions of his overzealous and overreaching executive branch. “If he didn’t find out about the wiretapping until after the fact, when exactly did he learn about it and how did he respond? What has always seemed clear is that Mr. Obama never actually believed the now-discredited claim that the Trump campaign worked with Russia…” You know, folks, that is such a key point. How many times have I quoted Obama on the practical impossibility of rigging a presidential election? You can’t do it! Obama ridiculed the idea! He ridiculed the idea of collusion with Russia! He even called out Trump for making wild accusations of this kind, saying (summarized), “It’s hysterical. It can’t be done. The American election system for the presidency is too complex; it’s too interwoven. You wouldn’t know where to go,” and yet his administration featured people who did exactly that in reverse.